As I mentioned in this space a month ago, I very much enjoy talking about the intersection of drugs and baseball. The ways that fans, members of the media, and players discuss the issue are valuable ways of seeing how people contextualize the importance of drug use in our society. Moreover, the general public seems far more passionate and opinionated about sports stars than about state and federal politics, where the War on Drugs is actually waged. For this reason, I’m tempted, like Patrick Rishe of Forbes, to mash baseball into all manner of drug-related conversations, such as that of Whitney Houston’s death. Thankfully, it hasn’t come to that, as baseball itself has delivered unto us the week’s biggest drugs-related story. For those of you who may be unfamiliar with the Ryan Braun case, here is a brief summary: Braun, a star outfielder for the Milwaukee Brewers, had been found to have extreme levels of artificial testosterone in his body during a course of regular Major League Baseball-mandated drug testing. This led to an automatic fifty game suspension, which is the standard punishment for positive drug tests under the Major League Baseball Players Association’s Collective Bargaining Agreement. 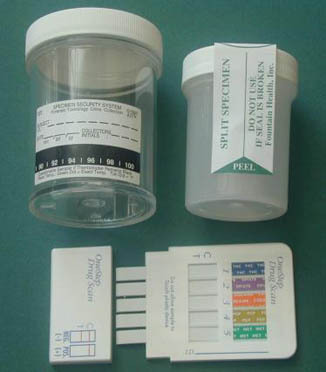 Unfortunately for Braun, an unknown party leaked his positive test to the media – despite the CBA’s assurance of drug-testing confidentiality – prior to the resolution of Braun’s appeal to an independent arbiter. 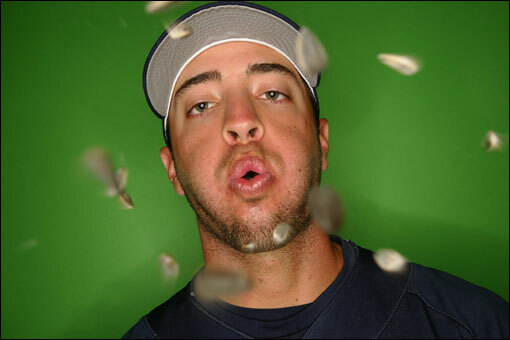 Braun successfully appealed his suspension, becoming the first player to win a Performance Enhancing Drug-related appeal in the league’s history, though this hardly saved his public reputation. Braun’s lawyers won their appeal not by arguing that Braun was “clean,” but that his urine sample had been improperly handled between its collection in Milwaukee and its arrival in a Montreal testing facility. This has resulted in a heated controversy about Braun’s innocence, as many fans and members of the media have derided both Braun, who they see as clearly guilty, and MLB’s drug testing system, which they see as allowing a supposed cheater to get off on a technicality. Braun’s case has reflected, in some telling ways, some of the more popular and reactionary sentiments surrounding America’s larger War On Drugs: Are punishments for drug users too light? Are drug users too protected by legal loopholes and activist judges? What does it say to children when drug users aren’t punished severely? In response to such sentiments, much of the most compelling writing on L’Affair Braun has taken a more liberal approach, showing ambivalence toward drug use in general and a questioning of the larger ethos that created the mass hysteria surrounding Braun’s appeal. Tyler Kepner to Ryan Braun: Tough Luck, Man. A tempered version of the most popular public sentiment can be found coming from quill of the New York Times’ Tyler Kepner in “Braun’s Name Is Cleared, but Questions Linger.” Unlike many baseball fans, Kepner is somewhat sympathetic to Braun’s situation, believing that the Major League Baseball Office of the Commissioner was ungracious in accepting Braun’s successful appeal and has set out to smear the reigning National League Most Valuable Player. Kepner argues that statements by Rob Manfred, MLB’s Executive Vice President for Labor Relations, “came off as excessive. In effect, Manfred was saying that Braun can play, but fans must view him with suspicion, even though they never should have known that he failed a test in the first place.” Nonetheless, Kepner says, what’s done is done and Braun must now set out to repair the damage to his reputation, despite the unjustness of this damage in the first place. “Anything less than a full explanation will leave lingering doubts,” Kepner laments. Famously curmudgeonly baseball writers Murray Chass and Allen Barra expressed a surprisingly naked outrage at Kepner’s modest moralizing. In “Murray Chass Gets it Right: Press Needs To Back Off Ryan Braun,” Village Voice’s Allen Barra parrots the position of sports blogger and former New York Times Sports head Murray Chass by chiding any and all journalists who claim Braun owes the public an explanation for his initial positive test. Chass calls his former colleague “arrogant,” claiming Kepner “wants his pound of flesh.” Barra cheers on Chass, who may as well be speaking to the larger culture of America’s punishing and shaming of drug addicts and suspected users, when he says “besides being viewed as guilty despite the arbitrator’s ruling that overturned the 50-game suspension, Braun faces even more insulting outrage from the news media.” Chass, never known as particularly liberal or progressive during his tenure at the Times, sees in the Braun case a societal hypocrisy that we could apply to the War on Drugs in toto – the public considers the formal mechanisms of law as secondary, a mere corollary to the more important public chiding and stigmatizing that American society hypocritically levies against “users” of all types. One of the most celebrated sports writers in the nation, Charles Pierce, defends Braun with extraordinary passion in his post on Grantland, “In Defense of Ryan Braun: The Undeniable Idiocy of Baseball’s Steroids “Crisis.” Unlike Chass, Pierce explicitly ties the Braun case – and the very idea of drug testing – to what he considers the perverted failure that is America’s War on Drugs. Steroids and PEDs are a synecdoche for blow, smack, and crank, for, as Pierce views it, the “steroid frenzy…began, as all drug frenzies do, with a series of scare stories guaranteed to terrify the rubes.” This has resulted, he explains, in a “war on performance-enhancing drugs in sports, and especially in baseball [that] has been legally questionable, morally incoherent, and recklessly dependent on collateral damage to make its point.” For Pierce, the War on Performance Enhancing Drugs is as stupid, pointless, and malevolent as the more general War on Drugs he has long opposed. The Real Villain of The Piece? Unlike Chass and Pierce, many journalists’ reactions to the Braun case have been fairly dispassionate and legalistic in nature, as writers like ESPN.com’s Howard Bryant and Hardball Talk’s Craig Calcaterra wonder aloud what the reactions to Braun’s successful appeal represent about the public’s views on the legal ramifications of the Drug War. In “That flimsy PED truce was an illusion,” Bryant sees Braun’s case as essentially steeped in the contest of management and labour, and the vehement disapproval of the Braun appeal as a condemnation of the measures set out in the player’s CBA. Bryant points to how “Travis Tygart, the head of the U.S. Anti-Doping Agency, referred to the Braun overturn as a “gut-kick” to clean athletes,” noting that such sentiments can be very destructive, diminishing the public’s faith in the rule and practice of law. The backlash from the public and the Commissioner’s office, Bryant explains, has also deeply upset the Player’s Union, a body that “has never quite forgotten that it was bullied — by the public, by baseball, by George Mitchell, by the press and especially by Congress — into agreeing to reopen the collective bargaining agreement to address testing.” Howard convincingly makes the case that the politicization of the drug issue has degraded the validity of players’ hard won rights, though a small proportion of the public and within Major League Baseball’s head offices seem ready to acknowledge this. Calcaterra, a former lawyer, also lashes out against Braun’s treatment and the public’s willful disregard of the importance of following legal procedure with his provocatively titled article “Think Braun is still dirty? Fine, but then at least admit you don’t care about drug testing.” Calcaterra explains that Braun’s drug use has been treated without the dispassionate attitudes fundamental to the proper functioning of law. He seems to be speaking almost directly to those reactionary political forces who would build more prisons and lengthen sentences despite criminological evidence that such measures would only exacerbate crime problems. “No scientific protocol has legitimacy if only some parts of it are adhered to and others aren’t,” he explains. “When you go with testing, you go with everything. You can’t say that the preliminary test results matter and the chain of custody protocols don’t. It’s all of a piece. It’s the entire process that lends drug testing its legitimacy, not just part of it.” Calcaterra’s repudiation of the general reactions toward the Braun appeal underline the sense of lazy moralizing and arbitrariness many writers feel Braun must now contend with. Granted, I’ve mostly covered pro-Braun pieces in this write-up, but that’s because of the extraordinariness of the popular blowback against a man who was exonerated of wrongdoing. What’s the purpose of having legal mechanisms to fairly judge and punish drug users if the only acceptable judgment is “guilty” and the only worthy punishments are extreme? Alex, thanks for this thoughtful overview of the Braun brouha. I supervised a senior thesis a few years ago (by Jonathan Lehman, now of the New York Post and occasionally The New Republic), on drug controversies in MLB. 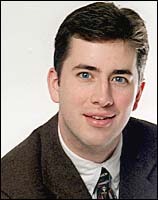 He compared the journalistic response to the cocaine scandal of the ‘80s to that of the millennial PED scandal. He found that the one consistency was the sportswriters’ effort to defend an ideal of baseball’s inherent innocence, in that cycle of defilement and purification that runs through the sport’s history. Whatever drug rhetoric was available in each situation, from disease to morals to racial distinctions, went toward that central task. I wonder if the writers’ backlash to the Braun leak owes to a sense that we are entering a new and uncertain phase of the PED story. The first phase was a traumatic event for the baseball press — they allowed the sacred power-hitting records to be defiled by cheerleading the rise of Bonds, McGwire, and Sosa. Their subsequent vilification of those stars was surely about resuscitating their own collective reputation, as guardians of baseball’s purity. But how do you sustain that moralistic pitch if a new drumbeat of positive tests begins? Something has to give! Will we see proposals for supervised HGH and testosterone therapy in the near future? Hi Eoin. I’m really happy to that you found my post engaging. First, there are already many, many “cheaters” and morally suspect members of the baseball’s Hall of Fame who have faced little retroactive disparagement from the press and who, in fact, are rarely even discussed as cheaters. This hypocrisy led the respected sports journalist Ken Davidoff to ask “If cheating’s so bad, why don’t we throw Hank Aaron out of the Hall of Fame?” (http://mobile.newsday.com/inf/infomo;JSESSIONID=AC41B08F9B6755051D00.3203?site=newsday&view=sports_blogs_item&feed:a=newsday_5min&feed:c=sports_blogs&feed:i=1.3414088&nopaging=1) The answer, of course, is that Aaron has been deemed morally “good” because he faced a heck of a lot of discrimination, he seems like a very nice man, and he continues to generate much nostalgic sentiment from the Bob Costases and George Wills of the world. Secondly, we don’t actually know how steroid use in particular affects baseballing ability. This point is, I think, extremely important because it confronts the fact that pundits are eager to believe that PEDs cheapen the sport by making lousy players great. There’s no reason to think such a thing, however, as the greatest PED-related “villains” of recent years have been high draft picks with amazing natural ability and fantastic mechanics (Braun, McGwire, Sosa, Bonds, Clemens, Alex Rodriguez, Manny Ramirez). Is there a reason to think that the difference between these players being successes and failures is the injection of steroids. Undoubtedly racial segregation for baseball first half century did more that artificial testosterone to help lesser players excel. Nonetheless, nobody’s stumping to kick Lou Gehrig out of the Hall of Fame. I think you’re right on when you talk about the PED discussion entering a new phase. The ugliest, most McCarthyist era of the Mitchell Report and congressional hearings have passed and we’ve entered into a period of historical revisionism and innuendo. As Ken Burns’ recent addendum to his popular PBS series “Baseball” has shown, Commissioner Selig and his ilk have begun crafting a story of the “Steroid Era” (1993-2006) not as a point in time in which the league was negligent or indifferent to PEDs, but one in which the Commissioner’s Office was hoodwinked by cunning players. This is a demonstrably false proposition, given that the Washington Post’s Tom Boswell had been writing about steroids in baseball since the late 1980s and, in 1998, reporters were openly discussing Mark McGwire’s use of Androstenedione during his home run record chase. For their part, many journalists still fancy themselves moral guardians and, like the league, have turned the argument around and focused on players’ culpability. Two years ago, Jeff Pearlman posted a now-infamous piece on his blog (http://www.jeffpearlman.com/jeff-bagwell-and-why-i-disagree-with-joe-posnanski/) suggesting that he wasn’t going to vote for Jeff Bagwell for the Hall of Fame because he believed – despite there being no proof to support his beliefs – that Bagwell was a ‘roider. Pearlman then hedged his comments by explaining that, even if Bagwell didn’t use PEDs, he played with people who did and did nothing to stop his teammates from besmirching the traditions of honesty and integrity that have supposedly defined the history of baseball. Pearlman’s statement comprise a rather astonishing call for players to self-police, a belief that simultaneously reinforces the journalist as a moral guardian and recuses him from accepting any culpability for overlooking PED use in the first place. If I had to guess what the future will bring, I see a new SABRmetrically-inclined generation of baseball writers, people who cut their teeth in the 1990s and 2000s and who eschew mindless nostalgia, creating an environment more conducive to rational discussions of drug use in baseball. This may be wishful thinking on my part, however. Maybe this, like many moral panics, will play out over years and simply die of exhaustion.